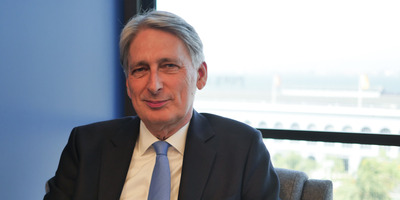 Katie Canales/Business InsiderUK Chancellor Philip Hammond speaks to Business Insider in San Francisco. 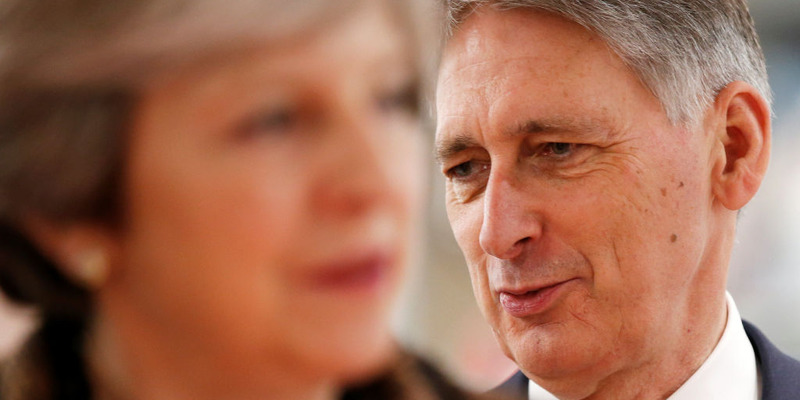 E xclusive: UK Chancellor Philip Hammond tells Business Insider the EU has “in principle” objections to the customs model being pushed by Conservative Brexiteers. Philip Hammond says the alternative “hybrid” customs partnership option is more likely to be backed by the EU, but may not be deliverable in its current form. “The chancellor needs to understand we’re leaving,” Andrew Bridgen MP tells BI. LONDON – The European Union has objections “in principle” to the customs proposal being pushed by the David Davis and other leading Conservative Brexiteers, the UK Chancellor of the Exchequer, Philip Hammond, has told Business Insider. Speaking to BI during a visit to San Francisco, Hammond said that the “maximum facilitation” model being pushed by Brexit Secretary Davis and others in the Cabinet was unlikely to be accepted by the EU. In comments which have already prompted anger from the Conservative backbenches, Hammond told BI that the EU has an “in principle” objection to the Brexiteers’ favoured “max fac” option. “The EU negotiators have an objection in principle to the so-called max-fac option. And that is that it requires an exemption for small traders across the Irish border, which they object to,” Hammond told BI. “Their concerns about the hybrid model are, as I understand it, more practical concerns. They’re not objections in principle, but they’re objections about the deliverability of the model. We accept those challenges,” he said. “The chancellor needs to understand we’re leaving,” Andrew Bridgen MP, who is a member of the anti-EU European Research group of Conservative MPs led by Jacob Rees-Mogg, told BI. “It’s not acceptable to remain in a customs arrangement with the European Union. Hammond’s comments came as May’s Cabinet struggle to come up with a solution to prevent a hard border between Northern Ireland and the EU. Under the “hybrid” customs partnership model, Britain would collect tariffs at the UK border on behalf of the EU. This is reportedly both May and Hammond’s favoured option of the two under discussion but is bitterly opposed by Conservative Brexiteers both in and outside the Cabinet. However, the head of HMRC, Jon Thompson, who is in charge of Britain’s existing custom arrangements, told MPs last week that Davis’ preferred “max fac” option could cost businesses £20 billion a year in extra import costs. Downing Street has also signalled that UK officials are also looking to find a “third way” of replacing the customs union. On Friday several UK newspapers were briefed with suggestions that David Davis was pushing for a new version of the “max fac” option which would involve creating a ten-mile buffer zone either side of the border.